This entry was posted on August 1, 2008 at 10:31 am	and is filed under Romblon, Town Plazas. You can follow any responses to this entry through the RSS 2.0 feed. You can leave a response, or trackback from your own site. I will never forget Romblon. Lots of marbles, and the people are soooo hospitable. I left the place with so much carved marbles in my bag given by nice locals. This was also the place where I saw millions of stars up in the sky in the middle of night and the air is so clean. => all i remember now about romblon is that when i turn to either side, i could view the mountain and on the other side is a picture of the sea…my mama told me that the province has changed a lot…i could still reminisce the memories of watching biniray festival over our window…i was still very youmg that time…3 years old i think? how much change has the province got now? maybe one of these days i could go back to my birthplace…..and maybe…i would be surprised…. wow!!! thank you for posting;;;; please conserved the place and take good care. 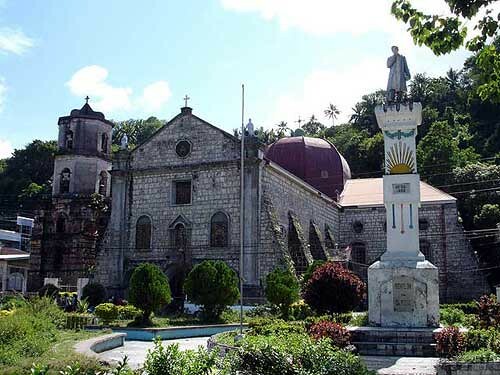 my mom was born and grew up there,.. i was 7years old when i visit their town ,…unfortunately i dont have the luxury to visit those historical places there,.. i’am longing to visit again romblon. My mom is from Romblon, Romblon and was born in this place myself. I used to visit my grandma and cousins every summer. Afternoon, I used to stay in the plaza and watch basketball games. Its nice to see the place properly maintained and the St. Joseph Cathedral where I was baptized. Hope to be back very soon.